A long time ago, in another life, I lived in one room at the top of an old house at the corner of 14th Street and Peachtree Street in Atlanta, a rooming house run by an incredibly kind Quaker woman named Christine Wilson. I was young and pregnant and determined not to go home again, where no one would say what we were and everything I wanted to be was drowned out by the noise of my parents’ quarrels. That room was my one safe space: ten square feet where I could read, draw, sit on the tiny balcony with the newspaper, and retreat after work from a big city that both frightened and thrilled me. Another space that seemed almost as welcoming was the Quaker meeting house around the corner, where my landlady attended, and where I encountered again the civil rights movement that had been one source of my mother’s quarrels with me. That was my first experience with a church that moved outside its own walls with its beliefs, that lifted up everyone rather than divided. On my days off, I spent some time, also around the corner, at a temporary office for the Southern Christian Leadership Coalition, where someone discovered I could write reasonably legibly in large letters and so I was assigned to make posters for the marches and pickets. It was the days of Lester Maddox and a struggle for the soul of the city. Hosea Williams was leading the Jobs and Justice campaign and the first talk of African-Americans running for office was breaking the surface of the city’s staid downtown. Eventually, I decided to marry and moved to Illinois. The day I packed my bags in my upstairs room, the other roomers, all poor working men, came to say goodbye. One gave me a small painting he’d done, a rich sworn of blues and reds. Mrs. Wilson hugged me and told me I would always be welcome. She had already let my room and the new boarder was outside now, talking to a friend. I struggled not to cry as I made my way down the cracked front walkway. At the end, the two men were saying goodbye. One turned and strode toward the front door. I recognized him from the movement, already a legend for what he’d done as part of the Student Nonviolent Coordinating Committee. Just this year, I saw him portrayed in the movie Selma, which made me smile, as I smiled that day, thinking of that mild-mannered, fierce-souled man sitting on “my” balcony, gazing out over the city and making plans. 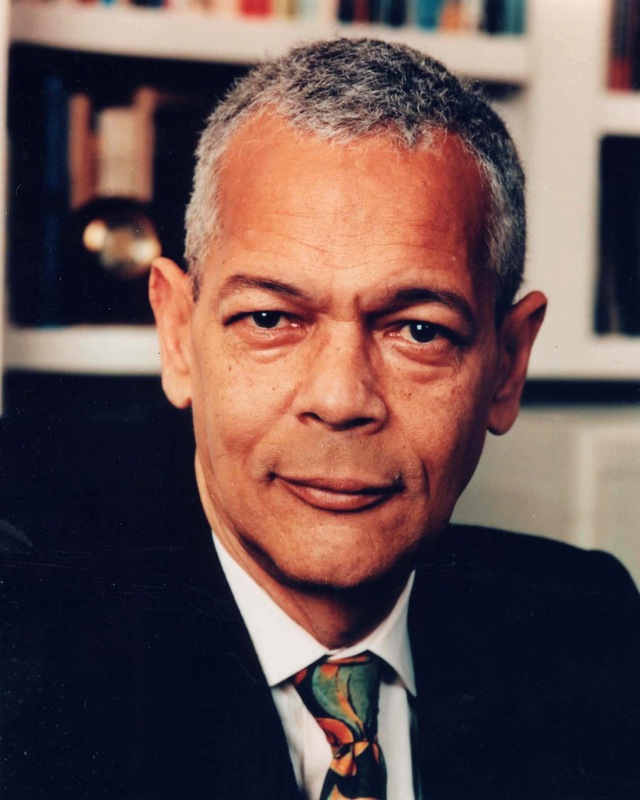 Tenuous as it is, this small connection with Julian Bond has always occupied a corner of my heart, right next to the small amount of courage I possess. That long-ago day, he nodded and smiled at me. Then I watched him stride quickly toward Mrs. Wilson’s front door, like a man with a plan that he intends to see through. He was truly lion-hearted. We were blessed by his presence. He came last fall to speak at a Dominican College in Madison. He was an unexpectedly light presence, with humor and humility. He was endowed with a peace filled presence….in hearing him, it would be hard to know his lion heart….and yet, he possessed both. Thank you, Glenda, for this reflection. Hi, dear friend. Thank you for adding your recollection. Yes, I think many underestimated him over the years because of his serene countenance. Yet his words could be fierce. If you saw Selma, you saw how central he was to the thinking of that time. Looking at his face, you can see the depth of his soul. A beautiful spirit I will miss so much. You are a true story teller, in the olde poet-minstrel tradition. Thanks for another memorable vignette in your inimitable style. Pshaw! Thank you, dear friend. Thank you for sharing this memory with us, Glenda, and a glimpse into your life through a partially-opened door. Hoping the door opens again, and wider. To paraphrase (and reverse) Henry David Thoreau, I don’t talk about myself so much, because other people are infinitely more interesting. Thank you for the compliment, my friend.